Macho hero Gopichand’s latest release ‘Pantham’ has grossed Rs 14 crore in six days of its theatrical run at the box office. 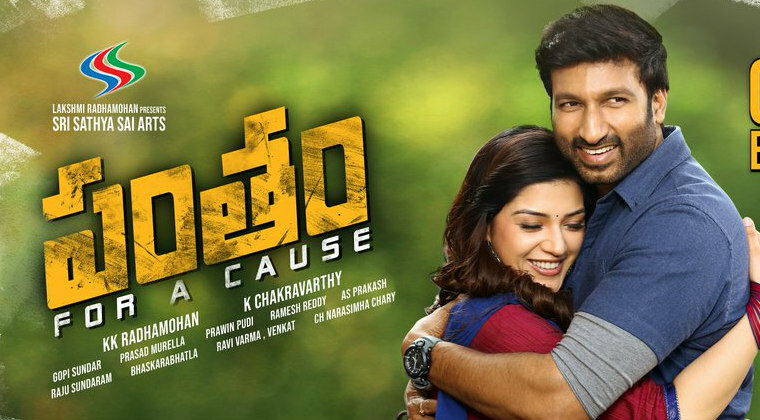 Pantham has now officially entered its second week. The film is doing extremely well in B & C centres which are the main strength of Gopichand. Directed by debutant Chakravarthy, Mehreen has paired with Gopichand in the movie. The film was produced by Sri Sathya Sai Arts banner.